Establish and implement services awards program. Establish base pay guidelines that attract good people, make sense, are competitive with the market, and help control cost. Develop and implement the right kind of pay methods to drive desired results and behaviors. Create bonus and incentive pay plans that help drive business strategy and motivate employee performance. Develop and implement rewards and recognition program that drive designed results and behaviors. Improve employee motivation, engagement and achievement. 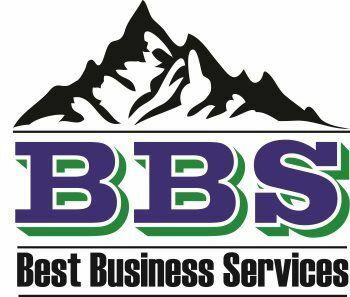 BBS helps you customize formal and informal reward and recognition programs that drive high employee performance, business strategy and job satisfaction. It is statistically proven there is a higher return in employee satisfaction and production for recognition dollars than for money spent on employee benefits. We want your business to have consistently sustained improvements in profitability driven by employees that love what they do and are motivated to perform at high levels. Define and deliver desired behaviors and results. Create a formal recognition program and guidelines. Develop and implement service awards recognition. Provide reinforcement guidelines and techniques. identification of fairness and equity concerns and possible pay discrimination practices. Alignment of all reward, recognition and reinforcement practices. Industry wide salary survey data comparison. Implementation of salary range guidelines to set base amounts and to control and manage labor costs. Design, develop and implement an appropriate incentive and bonus plan. Establish procedures to set new hire pay, promotions, equity adjustments and pay increases. Develop and implement compensation methods that make sense and drive desired results and behavior. Employees are without doubt a company's most expensive and most valuable assets. Paying employees incorrectly can be very costly whether the pay is too high or too low. You want to pay your employees based upon their contributions to your company’s overall success and their own individual productivity. You need you compensation plan to be fair so as not to cause undue turnover, low productivity, and low employee morale. BBS can help establish a pay system to set fair base pay and motivational incentive amounts. Based on your company’s business strategy, we help align pay practices to drive your desired behaviors and business results. We further help create the perception of fairness needed to attract and retain the right people in the right jobs.